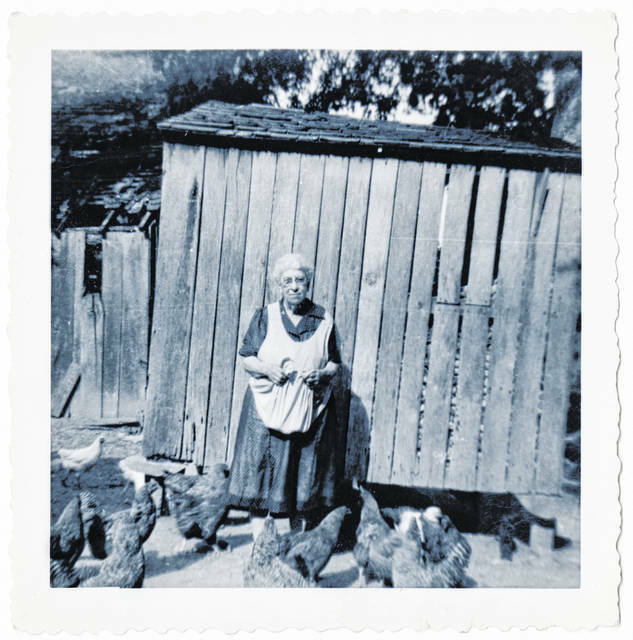 This photo, one of dozens of undated, unidentified pictures kept by the Highland County Historical Society, depicts an elderly woman with some chickens near a barn-like structure. Do you know who she is? Where the photo might have been taken? When it might have been taken? We’re interested. Call us at 937-393-3456, email us at HTGinfo@timesgazette.com or visit us on Facebook at www.facebook.com/TheTimesGazette.